The trend that flows in nowadays modern flats and bungalows is of tall large glass windows. In fact many fanciful people also try to build walls made of glass. Most of the offices have glass walls, doors and windows for both surveillance and design and proper sophisticated corporate conduct. For such patterned furniture and fittings the only answer to maintain privacy and style is roller blinds. Our roller blinds inhibit sheer elegance and provide the same to the interior spaces and increase the beauty and glamour of the insides. These roller blinds are used not only for privacy but also for solar protection by reducing glare, reducing the inside temperature and ensuring the air conditioner runs effectively and also reduces the energy consumption by greater degrees. Many blinds are also meant for safeguarding against a number of variables such as fire, theft etc. Machine operated metal blinds among the various different options available, are often used for the before mentioned purposes. 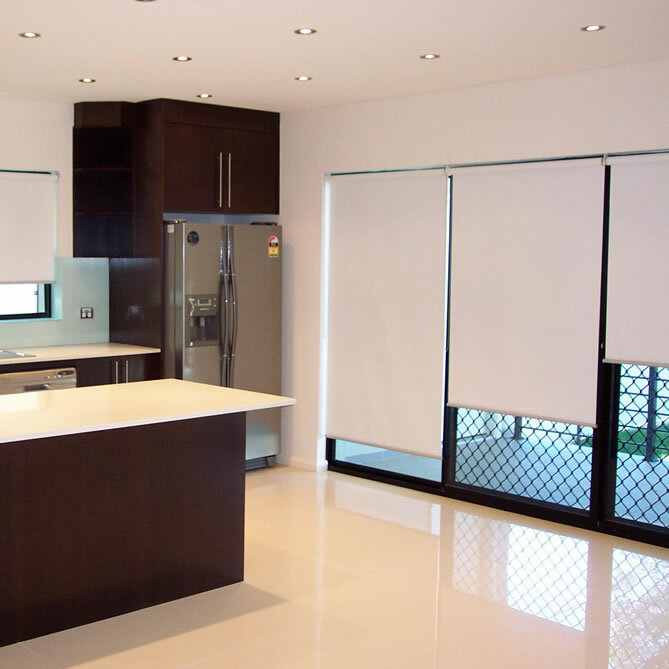 Roller blinds can either be manually constricted or expanded through a cord as well as through automatic motors which are controlled from a switches, computers, remote controls, thus removing the need of cords and also maintaining comfort and accessibility of the otherwise not accessible windows and doors. These are easy to use, thus, also efficiently helping in restoring heat during the winter months and reflecting and preventing heat from getting in during the summer season while maintaining style and decorum throughout the year. There are even transparent blinds for home and office use meant for beauty enhancement and also causing reflection and refraction that prevents direct visibility inside but allows proper sight seeing outside. There are even ways to showcase messages or pictures printed in roller blinds. This personalized feature may further be used to impart any official message in the corporate sector a or any homey scene in residential areas. 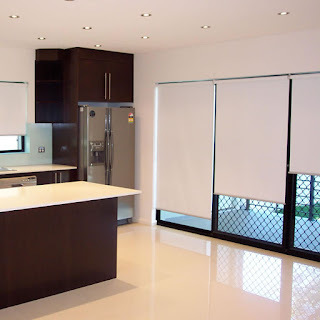 Thus, with the many merits available, these roller blinds are gaining importance in various sectors, especially in the household ones whereby they serve their purpose along with fulfilling their utility with least hassle of cleaning and maintaining and are also affordable for most classes and when they outlive their life they can also be easily and readily repaired. We here provide a very wide range of fabrics to choose from, its application ranging from decorative and stylish to screen and specialized whereby screen fabrics is to let you to enjoy the view outside along with protection from sunlight. Whereas Blackout and Dimout fabrics are for those who prefer solar protection, heat or cold prevention and sound insulation from inside and outside, along with room darkening effect. Our blinds are meant for utility and show hence, they are good in both their use and their styling and design and at attractive affordable prices. Just viewing the roller blinds will not be enough for you; you will also be compelled to pick your favorite from the variety displayed to you by us.